There is a surprisingly large amount of depth to Kirby’s move set, and almost all of his abilities for the whole series are introduced right away. Eating enemies, spitting them out as projectiles, puffing up to fly. Basically everything other than his mimic ability was introduced here. You get 4 lives including 0 (so 5), and can pick more up in the secret room scattered about the levels. You also get continues, so you will finish this game by default. There are 5 levels. The first 4 which are about 90 seconds long WITH FULL EXPLORATION, which are your standard platforming type levels. The 5th, is a little Megamanny, you get to do the 4 bosses again (in any order). The only difference, is you repeat a very short 20 second level before the boss fight. At the time of release Gameboys cost £19.99 to £35.00 in the UK, even at £20 I would say that is too much for this game. There is just so little here. This is not a limitation of the Gameboy, this is a limitation of the game. If you don’t complete this game in less than 15 minutes on your first play through then put the Gameboy down, and give up gaming. The game is so short, I don’t see any point in writing much more. Seriously, this has taken longer to write than play. The game isn’t bad, there is nothing wrong here. It plays well, but it just doesn’t do anything. This game is currently rated as the 17th best Gameboy game of all time (according to GameRanking.com). If that is the case, I do not hold much hope for the Gameboy. This game is mediocre to average, at best. To be honest, I’m unhappy with this review so will probably change it at some point. I’d probably give it high 60s low 70s now. It does play well, the platforming is fine. It is just really short. 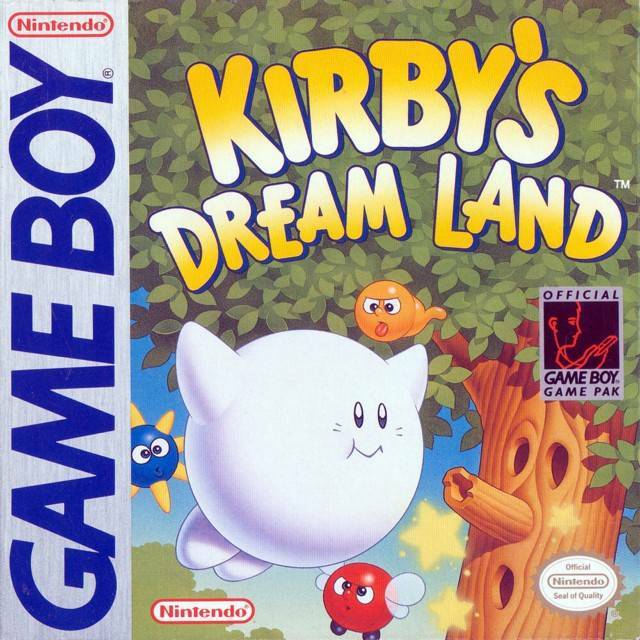 Yep, Dream Land 2 was for the Game Boy, and Dream Land 3 was for the SNES. You should check them out if you ever get the chance! Kirby’s Adventure is a great game too! I have the original NES cartridge and still play it from time to time. I want an NES mini too! I just figured I’d wait for the demand to die down a bit and then get one!